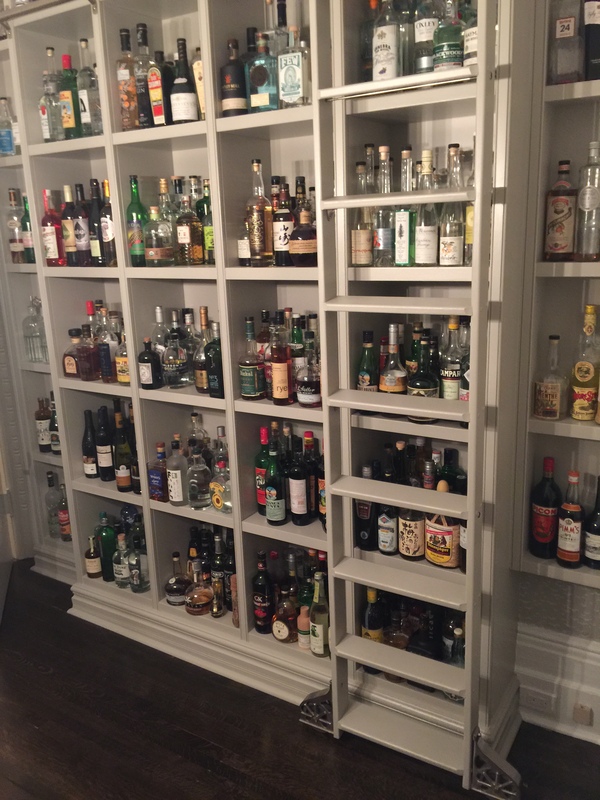 I normally don’t toot my own horn, but after installing new shelves and a library ladder in our dining room, I can’t help but be mighty proud of my new found access to my spirits collection. Gone are the days of using a flashlight down on my hands and knees, searching in near darkness for something I hadn’t used in five years. I can’t tell you how excited I am with the new setup. The sliding library ladder makes excellent use of storage normally out of reach. 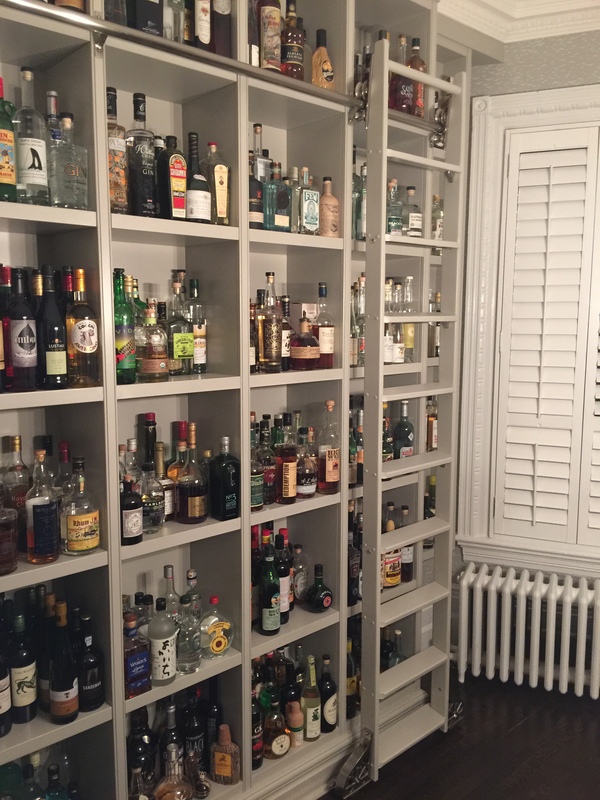 I organized the bottles into convenient subcategories and even found room for a grouping of red and white wines.